Our officials received N3bn bribe to influence 2015 elections – INEC – Royal Times of Nigeria. 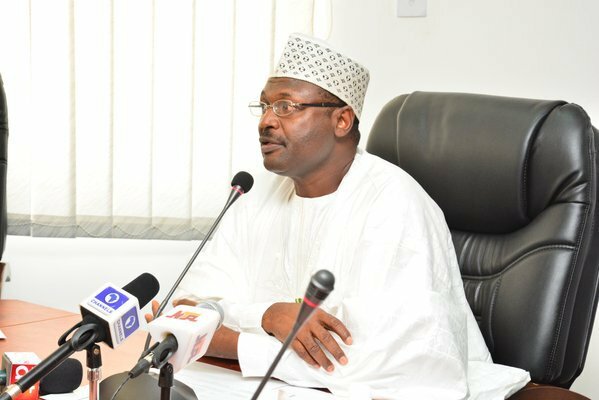 The Independent National Electoral Commission (INEC) has revealed that its staff received at over three billion Naira to influence the outcome of the 2015 general elections. You may recall that some members of the electoral body, including one of its retired National Commissioner, and five Resident Electoral Commissioners are currently under investigation for their alleged involvement in the N23 billion election bribe. INEC’s National Commissioner, Mohammed Haruna disclosed this on Tuesday in Abuja, while addressing journalists. Haruna said, “The commission met today (Tuesday) to consider the report of its expanded Appointment, Promotion and Disciplinary Committee on the EFCC Interim Report on Bribery, Corruption and Money Laundering Charges during the 2015 general elections. “You may recall that late last year, the commission received an interim report from the EFCC detailing allegations against 202 serving and retired INEC officials and staff in 16 states of the federation. “In furtherance of its zero tolerance for corruption in the electoral process, the commission ordered a thorough investigation into the allegations to establish the culpability or otherwise of those named in the EFCC report. “The committee’s work was thorough and painstaking, involving the issuance of queries to the 202 officials mentioned in the report and interviewing them individually in accordance with the principle of fair hearing and in consonance with INEC Staff Conditions of Service. “As a result of the initial findings of the committee, an additional 80 serving officials of the commission, who were not named in the EFCC report but whose names came up in the course of the investigation, were also queried and interviewed. “The cases of one former National Commissioner, five former Resident Electoral Commissioners (one of them deceased) have been referred to the Presidency and the EFCC for further necessary action. “There was a clear attempt to bribe INEC staff to influence the outcome of the 2015 general elections using an NGO, West African Network of Election Observers, made up mainly of retired senior INEC officials. “Out of over N23bn, which the EFCC report said was used to influence the elections, the committee established that N3,046,829,000 was received by INEC staff in 16 states,”.